VERSATILE TRACT!! DEVELOP / GRAZE/ FARM/ INVEST!!! &#xD;&#xA;BASIC OVERVIEW: Located just 5 miles south of IH-35 in San Marcos, Texas with great shape, no floodplain, conveying mineral interest and ~2,800 feet of paved road frontage, this 64.57 acres makes for a great development/investment property, or lends itself nicely for livestock or farming operations. With the potential for a buyer to develop immediately with the rapidly expanding San Marcos Texas just 5 miles north, or to buyer and hold an income producing property with 50 acres currently in row crop and minimal property taxes as a result of the current 1-d-1 agricultural exemption, this land provides a multitude of opportunities for discerning buyers. Courtesy of Keller Williams SW Market Center. VERSATILE TRACT!! DEVELOP / GRAZE/ FARM/ INVEST!!! 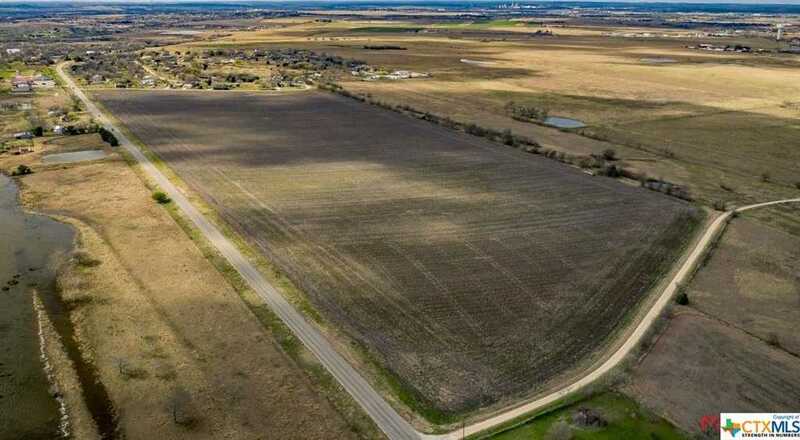 BASIC OVERVIEW: Located just 5 miles south of IH-35 in San Marcos, Texas with great shape, no floodplain, conveying mineral interest and ~2,800 feet of paved road frontage, this 64.57 acres makes for a great development/investment property, or lends itself nicely for livestock or farming operations. With the potential for a buyer to develop immediately with the rapidly expanding San Marcos Texas just 5 miles north, or to buyer and hold an income producing property with 50 acres currently in row crop and minimal property taxes as a result of the current 1-d-1 agricultural exemption, this land provides a multitude of opportunities for discerning buyers. Please, send me more information on this property: MLS# 367526 – $516,560 – 3270 Fm 1978, San Marcos, TX 78666. I would like to schedule a showing appointment for this property: MLS# 367526 – $516,560 – 3270 Fm 1978, San Marcos, TX 78666. Texas law requires all real estate license holders to give the following information about brokerage services to prospective buyers, tenants, sellers and landlords. © 2018 Jordan Lippe Walker. All Rights Reserved. Website by Huckster Design. The data relating to real estate on this web site comes in part from the Internet Data Exchange program of the Central Texas MLS. This information is provided exclusively for consumers personal, non-commercial use, that may not be used for any purpose other than to identify prospective properties consumers may be interested in purchasing, and that data is deemed reliable but is not guaranteed accurate by the MLS. Copyright © 2019 Central Texas MLS. All Rights Reserved.